I have been in my studio beginning to experiment with ideas that have begun to form in response to my initial research in the archives. Since I began working with archives the on constant experience is that the archives can only ever offer a starting point. The information they contain, if taken in isolation is incomplete and easily misunderstood. Digging deeper can sometimes bring clarity and confirmation but very often looking beyond and outside the archive is the only way to actually get the whole story. To get a clearer picture I have found I have to look beyond what is in the archive. It is very easy to get tunnel vision, to get so hooked on looking at what the archive is presenting you with that it becomes easy to make assumptions. It is also easy to accept that what the archive is telling you is correct. This experience has been an underlying theme to my work for many years. Often deliberately using a piece of information gleaned from an archive in a misleading context. 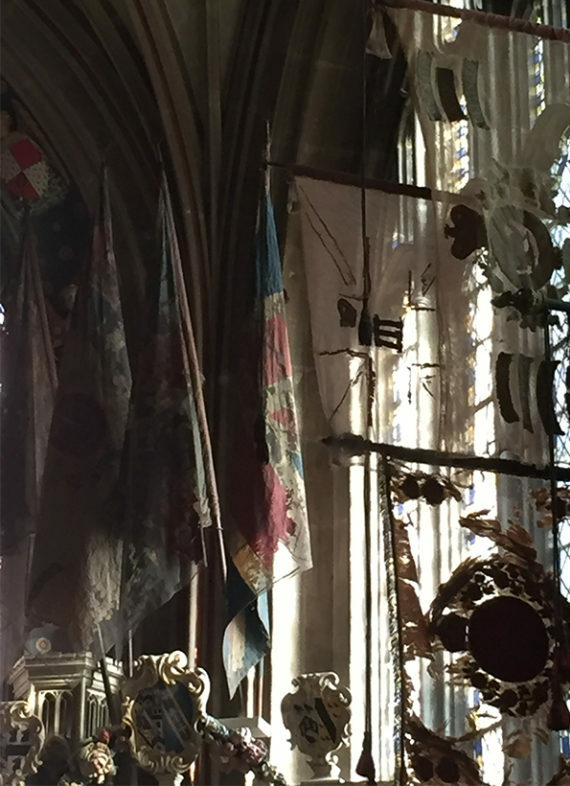 Researching at the Canterbury Cathedral archives is no different and it is comforting to have found evidence that suggests that I am not the only one to find that but also that sometimes if you just look closely enough the answers are right there under your nose. 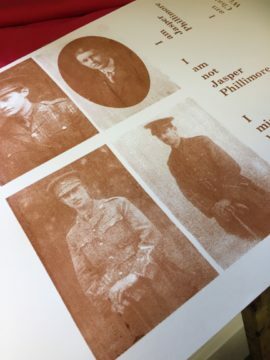 Cat no U88/A7/35 contains photographs of young men who attended St Augustine’s College who served during WW1. Most of the men are depicted wearing their military uniforms and nearly all the photographs are marked in some way with their names. 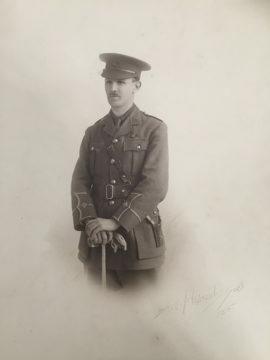 It is always a happy discovery; finding photographs of named people as it at least offers the possibility of searching further afield for more information about them. On the other hand, finding unidentified photographs means that further research might be difficult. 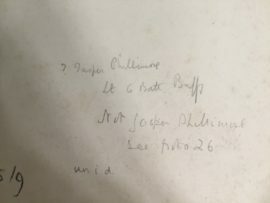 One photograph in particular, or to be clearer, what was written on the back of it, caught my attention when I first looked through them. 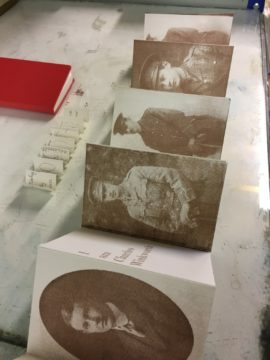 The result has been the beginnings of an artists book entitled ‘I am not Jasper Phillimore’. 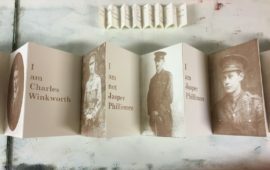 The concertina book contains a series of screenprinted images and when opened fully is deliberately confusing. 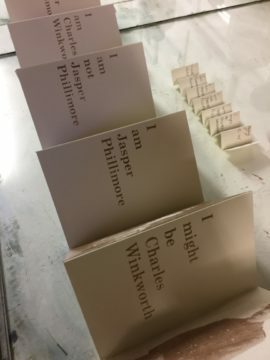 I hope to have the book printed and available to view at the upcoming Cathedral Open Day on Sept 20th when I will be on site discussing my residency so far.